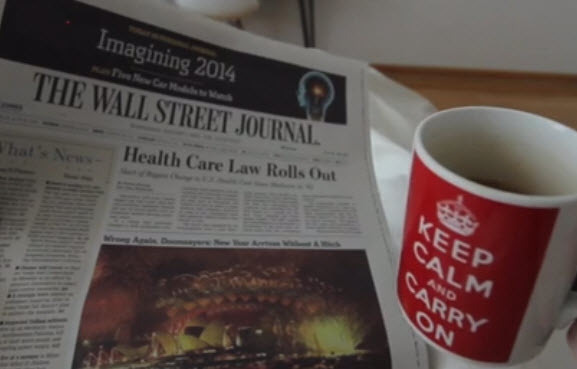 NEW YORK, NY--(Marketwired - Nov 13, 2014) - Interactive-video innovator, Zentrick, worked with The Wall Street Journal to create an engaging, personalized tour of 'Obamacare' for its readers. Its effort, named "Prescribed", was nominated for a 2014 Emmy® Award in News and Documentary, and was also named a finalist in the 2014 Gerald Loeb Awards in the Images/Visuals Category. To achieve the personalization, the central video storyline of "Prescribed" is augmented by Zentrick's interactive video layers that allow viewers to explore personal areas of interest, as well as access in-depth information on key topics and make sense of a complex issue. The interactive video was created to provide WSJ.com readers with tailored information on the most significant regulatory overhaul of the U.S. healthcare system since the passage of Medicare and Medicaid in 1965. Starting with the central narrative that explains what the policy means for citizens, employers, as well as medical coverage, Zentrick added content that encouraged viewers to explore aspects of the healthcare reform that affected them, such as how medical treatment would change, who was insured under the new system, and estimates of associated costs. "While publishers have made editorial content interactive for some time now, there is a huge, as-yet untapped opportunity to do the same with video. Zentrick is unlocking new creative options that fundamentally shift the audience dynamic from a 'lean-back' to a 'lean-forward' mode, and drive deep engagement," commented Zentrick CEO, Pieter Mees. "The Wall Street Journal 'Prescribed' campaign demonstrates the measurable value of interactive video for publishers, that can now boost viewing time and remix related content in original ways that inspire audiences to click through the content-discovery path."